Although I personally prefer using Telegram, I have to use WhatsApp because most of my friends and family members are on it. And even though WhatsApp is good enough for most of my messaging needs, there are some situations where the service just breaks down. For example, like everybody else, I like to keep my number private. But I am forced to give out my number to strangers just so we can connect on WhatsApp. Even if it’s a one-time thing, my number is now forever saved on their smartphone. But, if you are on Hike, you now have a way out of this forced sharing of numbers. According to a BGR report, Hike has just started to roll out a new update which allows you to chat with someone without giving out your number. Hike does that by creating what the company is calling a Hike ID. Just share your Hike ID with someone and you can chat with them without sharing your number. Now, it’s not a novel feature as both Telegram and BBM have had this for years now. That said, both these services are not so popular in India, where the market is dominated by WhatsApp. That’s why Hike has an advantage here, as the most of the company’s 50 million user base is in India, and this feature can help the service to expand its user base in the country. Hike also has an advantage of having a fairly young user base which is definitely going to love and utilize this feature more. In fact, according to Hike, in a survey conducted by the company with over 1 million users, 69% respondent said that they would like to talk to people without sharing their phone number. Listening to its user base, Hike decided to launch the Hike ID feature which not only saves users from the hassle of sharing or saving phone numbers but also make it really easy to add someone new to their chat. 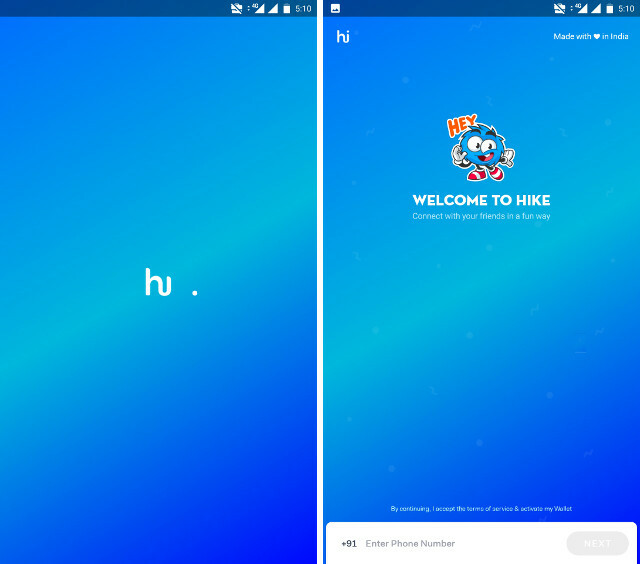 Hike has released the service for its Android users with the release for iOS users to follow soon. That said, I still haven’t received the update so it might be a few days before the update is rolled out for all the devices.